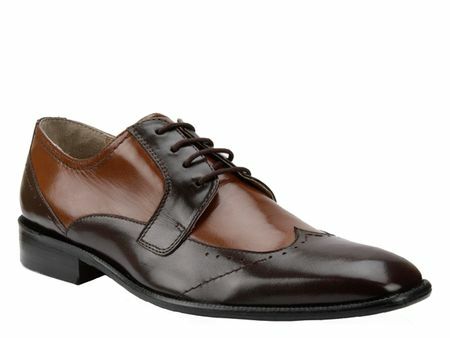 These sharp looking brown and tan two tone wingtip shoes are what Giorgio Brutini is all about. Designed in Italy for the man who takes his shoes an style seriously. These two tone wingtips will be on your frequent flier list. Made of calf skin leather.